Quartz-monzodiorite: Mineral information, data and localities. A dioritic rock with 5-20% quartz and 10-35% alkali feldspar on the QAPF diagram. 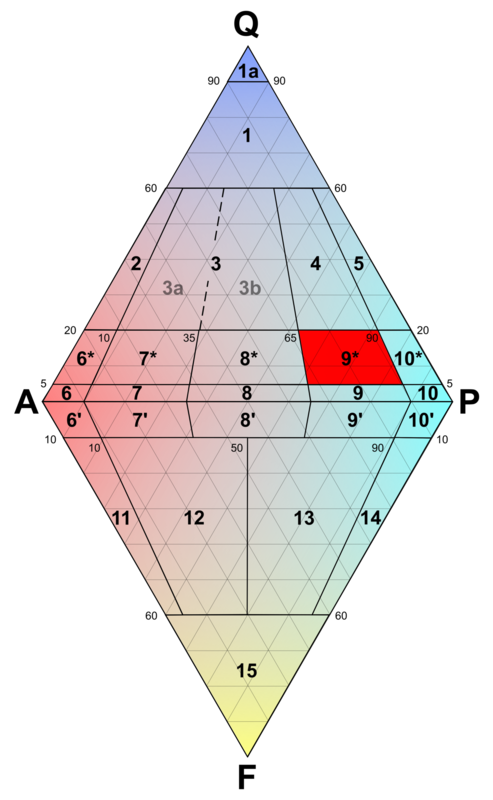 Quartz-monzodiorite is in section 9* of the QAPF diagram. Feldspar > Alkali Feldspar Feldspar Group minerals rich in Potassium or Sodium.